François is a partner in the firm’s Business Law Department. 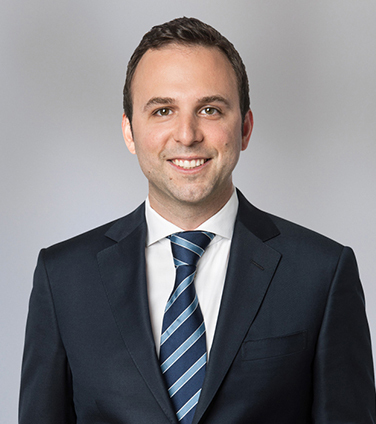 He has been nationally recognized as a leading capital markets and U.S/Canada cross-border lawyer in Canada, and has been named a “Rising Star” (top 40 under 40) and a “Leading Lawyer to Watch” in the area of Corporate Finance and Securities in Lexpert. François’ practice covers many areas of corporate and securities law with an emphasis on corporate finance and mergers and acquisitions. He has experience acting for public issuers, financial institutions, investment funds, investment banks as well as industry leaders in a range of sectors including natural resources, real estate and technology. François has been involved in a variety of matters including public offerings and private placements, mergers and acquisitions (both negotiated and unsolicited) and dealer/adviser registration matters. Syndicate of underwriters consisting of UBS Securities LLC, Merrill Lynch, Pierce, Fenner & Smith Incorporated, Citigroup Global Markets Inc., BMO Capital Markets Corp., Mitsubishi UFJ Securities (USA), Inc., RBC Capital Markets, LLC, Wells Fargo Securities, LLC and The Williams Capital Group, L.P. in connection with an offering of US$2.5 billion Class B common stock of Molson Coors Brewing Company. Valeant Pharmaceuticals in its friendly bids to acquire Salix Pharmaceuticals for US$15.8 billion, as well as related equity and debt financings. CAE Inc. in its $19.8 million acquisition of the shares and assets of the military aviation training business of Bombardier Inc.
Teralys Capital Innovation Fund in the structuring and formation of a private equity fund of funds focused on investing in the technology and life sciences sectors. Acasti Pharma Inc. in its US $23 million cross-border public offering of units comprised of common shares and warrants. SherWeb, a world-leading provider of email and collaboration hosted solutions and a Microsoft Gold Certified Partner, in connection with its acquisition of the DNAmail division of DSL Extreme, a privately held retail brand of IKANO Communications, Inc.
Gaz Métro Limited Partnership in connection with the reorganization of its public ownership structure into a new publicly listed corporation named Valener Inc. which owns an economic interest of approximately 29% in Gaz Métro. Valener Inc. in connection with its $40.5 million public equity offering. Gaz Métro Limited Partnership in connection with numerous public offerings of debt and equity securities, as well as asset divestitures. Investment Trust) in connection with its $160 million initial public offering and listing on the Toronto Stock Exchange. CANMARC Real Estate Investment Trust and Homburg Invest Inc. in connection with numerous public unit offerings. Homburg Invest Inc. in connection with proposals by its majority shareholder and its restructuring under the Companies' Creditors Arrangement Act. Goldman, Sachs & Co., Morgan Stanley, BofA Merrill Lynch, RBC Capital Markets and other initial purchasers in connection with an offering of US$5 billion principal amount of senior notes by CDP Financial Inc., the financing arm of the Caisse de dépôt et placement du Québec. National Bank Financial, BMO Nesbitt Burns, RBC Capital Markets and the other dealers in connection with an offering of $2 billion principal amount of senior notes by CDP Financial Inc., the financing arm of the Caisse de dépôt et placement du Québec. CGE Resources Québec 2011 L.P., a flow-through fund investing in mining and resources issuers, in connection with its initial public offering. An underwriting syndicate in connection with a $75 million public offering of convertible subordinated debentures by Atrium Innovations Inc.
Sherweb Inc. in connection with its American acquisition of DNAmail, a division of DSL Extreme, a retail brand privately held by IKANO Communications, Inc., and business agreements entered into by Sherweb. Chambers Canada: Canada's Leading Lawyers for Business, 2019: Up and Coming, Corporate: Commercial (Quebec). The Canadian Legal Lexpert Directory, 2017-2018: Leading Lawyers to Watch, Corporate Finance & Securities. The Canadian Legal Lexpert Directory, 2017: Repeatedly Recommended, Corporate Commercial Law. Lexpert Rising Stars, 2017: Canada's Leading Lawyers Under 40. IFLR 1000: The Guide to the World’s Leading Financial Law Firms, 2018-2019: Notable Practitioner, Capital Markets: Equity. The Best Lawyers in Canada, 2018-2019: Mergers & Acquisitions Law. Quoted in Pushing for Plan Nord, Canadian Lawyer, September 2012.